There's Good News to find everyday, and the crew of The Magic Boat know that's true. 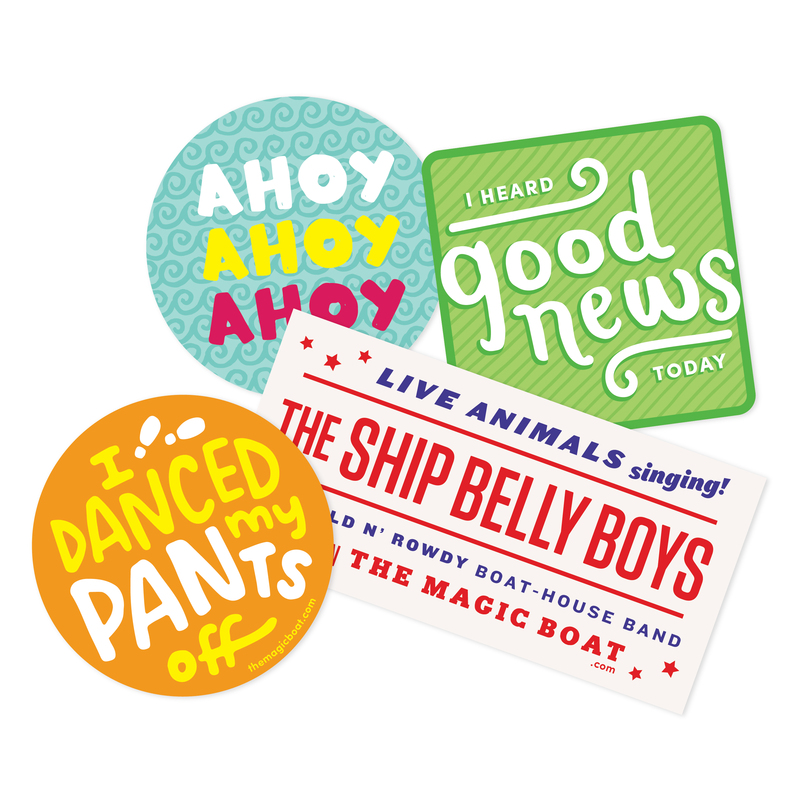 Inside are four of our most popular designs, including an authentic Ship Belly Boys band sticker. Did you hear any Good News today? Well shout about it with an assortment of our most-awesome stickers. The Ship Belly Boys sticker is 4″ across, and the others are about 2″ in diameter.